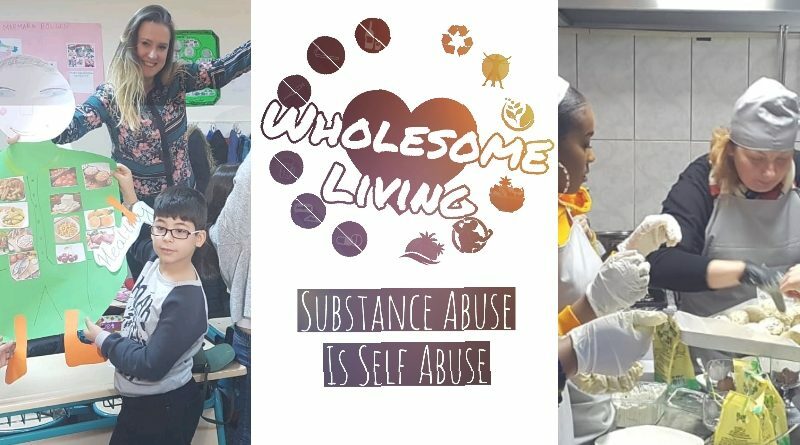 “Wholesome Living Substance Misuse Is A Self Abuse” is an Erasmus+ project focused on tackling the topic of substance misuse while promoting healthy eating and a healthy lifestyle among students and their families. This month, project partners from the UK, Italy, Turkey, Poland, Greece and Romania met in Aydin to carry out the project’s first transnational meeting. Day 1 and the team focused on getting to know each other. Each partner presented their organisations and before discussing the project aims, planned activities and deadlines. Day 2 and the team visited a nutrition-friendly state primary school in Aydin, where the partners sat down with the principle and took part if activities with some of the pupils. For lunch, the parents of the pupils prepared some delicious, traditional Turkish food and then took part in a traditional Turkish dance class. Day 3 and the final day of the transnational meeting in Aydin. The team attended a workshop learning about diet and nutrition as well as cooking new healthy meals. The group enjoyed a cooking class and an in-depth presentation from a specialist dietitian. The group then attended a presentation held by an active lawyer specialising in Turkish law with respects to substance misuse and the criminal justice system. The meeting was a success and a great start to an exciting project. Thank you our hosts from IovaYouth.